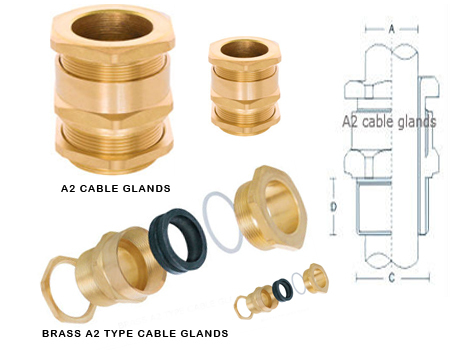 Brass cable glands CXT type are suitable for use with all types of screened flexible wire braid/wire braid armour cables. 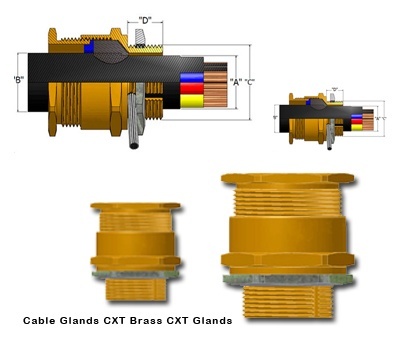 The CXT glands and cable gland packs cable glands provide mechanical cable retention and electrical continuity. 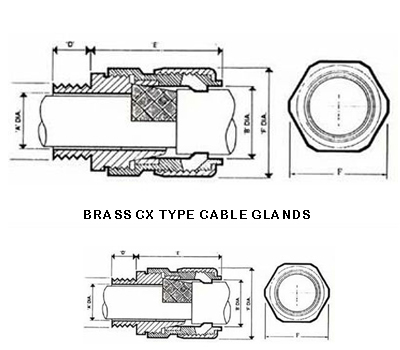 Application: For indoor and outdoor cable gland for use with all types of Shielded Flex (SY) and Screened Flexible Cable (CY) to Unscreened or Unshielded Control Cable (YY). 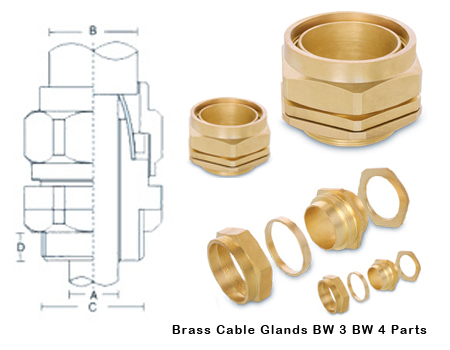 Size: 16mm to 90mm & 3/4" to 3½"
Function: providing environmental seal on outer sheaths of the unarmored Cable.